Washing your delicates can be an intimidating task as you don’t want to ruin many of your finest (& usually sexiest) pieces of clothing. Certain delicates are labeled as “hand-wash only” and many others recommend hand washing when possible. For this reason we’ll go over how to both hand wash your delicates and machine wash as well. 1 – Fill a bucket or sink with warm water while adding your detergent (many detergents have specialty brands for delicate clothing). 2 – Soak your delicates in the warm water (don’t overfill) and let them sit for 5-10 minutes depending on how much clothing is in the solution. After this time period, get your hands into the clothes and whirl them around while gently rolling them for a few minutes and then allow them to soak for a few minutes longer. 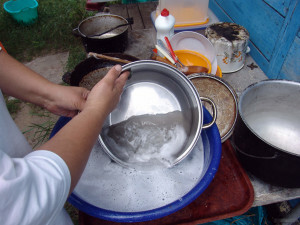 3 – Carefully remove the clothing and set aside, remove the soapy water and fill the sink or bucket with cold water. Put the clothing back into the cold water and whirl around to get out the excess detergent. Do this 1 to 2 more times depending on the load and detergent used. 4 – Once finished carefully place the laundry on a drying rack and allow them to dry overnight. 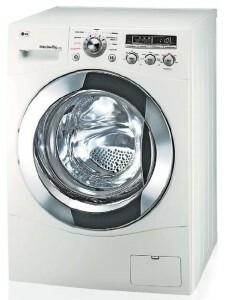 2 – Use your machines setting for delicates (or the most gentle cycle available) and use minimal amounts of detergent. Be sure to add a bit more clothing alongside the delicates in this wash to keep it even.